The founder of Scouting, Lord Baden-Powell of Gilwell, was born in 1857 in England. He lived a busy and adventurous life and as a boy spent much of his spare time in the outdoors. After winning a scholarship that allowed him entry into the army, Lord Baden-Powell spent many years serving in India. There, he formed a training method for soldiers that he referred to as ‘scouting’ and wrote a book, Aids to Scouting, which was used as a textbook for many years. After being encouraged to apply his Scouting principles to the training of boys and young men, Lord Baden-Powell conducted a first Scouting camp in 1907 on Brownsea Island off the Dorset coast with some 20 boys from all walks of life and suitable adult leaders. The group lived in tents, cooked their own food and learned many valuable skills through games. The camp was a great success and proved Lord Baden-Powell’s ideas, so he tackled the task of writing down his experience in a second book. Scouting for Boys was first published in fortnightly parts, beginning January 15, 1908. Every issue sold out as soon as it hit the news-stands. 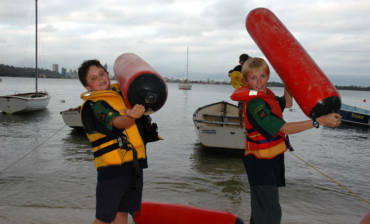 In response to the huge success of Scouting for Boys, it was suggested that boys form patrol groups within other organisations. But boys didn’t want to be school-scouts, cadet-scouts or brigade-scouts, they wanted to be simply Scouts. Long before the last instalment of Scouting for Boys hit book stands, Scout patrols and troops had begun to appear all over Britain. Lord Baden-Powell finally bowed to the inevitable and accepted that Scouting would have to become a movement in its own right. He retired from the army as a General to devote his life to the new Scouting movement. Following the popularity of Scouting for Boys, Girl Guides was formed in 1910, quickly followed by the first Sea Scout branch in the same year. The next section to form was Wolf Cubs in 1916, followed by Rover Scouts in 1918 and the Special Test (now Extension) Department in 1926. 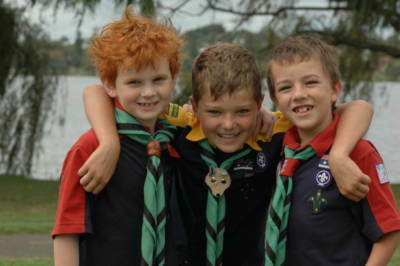 The Group system of Cub Scouts, Scouts and Rovers under the leadership of the Group Scoutmaster was established in 1927; Deep Sea Scouts was established in 1928, Air Scouts in 1941 and Senior Scouts (now known as Venturer Scouts) in 1946. Scouting spread to Australia, New Zealand and India, closely followed by other countries. By 1937, 2.5 million Scouts from nearly 50 countries were affiliated with the International Bureau, which was set up to safeguard Scouting and to prevent control drifting into the hands of purely religious, political or military bodies. 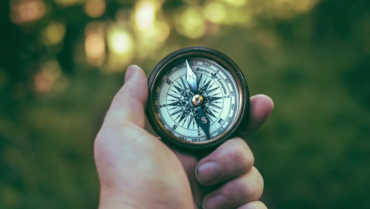 Wood Badge Training of Leaders commenced in 1919 at Gilwell Park in England and over the years it has emerged as the leading method of Leader Training throughout the Scouting world. Lord Baden-Powell was proclaimed World Chief Scout at the first Jamboree at Olympia in 1920; he was raised to the peerage in 1929 and was awarded the order of Merit in the Coronation Orders in 1937. 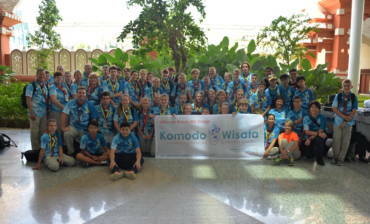 He travelled widely, encouraging Scouting in every country he visited. Lord Baden-Powell retired to Kenya, where he spent several happy years with his family before his death in 1941. A message to all Scouts from Lord Baden-Powell was found among his papers after he died. If you have ever seen the play Peter Pan you will remember how the pirate chief was always making his dying speech because he was afraid that possibly when the time came for him to die he might not have time to get it off his chest. It is much the same with me, and so, although I am not at this moment dying, I shall be doing so one of these days and I want to send you a parting word of goodbye. I believe that God put us in this jolly world to be happy and enjoy life. Happiness doesn’t come from being rich, nor merely from being successful in your career, nor by self-indulgence. One step towards happiness is to make yourself healthy and strong while you are a boy, so that you can be useful and so can enjoy life when you are a man. But the real way to get happiness is by giving out happiness to other people. Try and leave this world a little better than you found it and when your turn comes to die, you can die happy in feeling that at any rate you have not wasted your time but have done your best. ‘Be Prepared’ in this way, to live happy and to die happy – stick to your Scout promise always – even after you have ceased to be a boy – and God help you to do it. From its English origins, Scouting struck an enthusiastic chord among boys across the world. Today, the World Scout Committee provides unity among the Scouting National Associations with a World Bureau operating from Geneva and independent national organisations in 216 countries and territories. Scouting first admitted girls and young women to its Venturer Scout and Rover sections in 1973, and its Cub Scout and Scout sections in 1988. 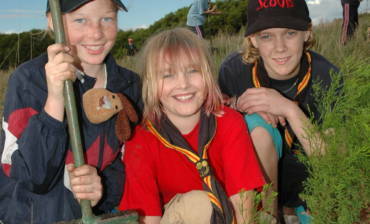 The Joey Scout section was introduced to Australian Scouting in 1990.